In the fog of family life, sometimes we need good language and descriptors to help us best understand the challenges of parenting. Sometimes being told what to do directly from another parent isn’t that helpful and might even cause some resentment. You know how it is – if you are really struggling to find clarity in the midst of juggling parenting, career, family life, finances, and community involvement, someone telling you the exact way to deal with all of that seems at the very least…detached. I am a Christian, and as a follower of Jesus, one of the aspects of his teachings that are the most helpful are his parables. These stories capture timeless truths about how people interact, relate with each other and God, as well as provide a better way to live. The fascinating thing about these parables is how they tend to hold up and provide a solid framework to live in our postmodern world. I love how stories, images, and metaphors seem to cut through to the heart of things and give us the perspective we need. One of the common anxieties of adults who work with teenagers revolves around the teenager’s tendency to distance themselves from their parents and other close adults as they explore what it means to be an individual. So many take this personally and don’t deal with it very well. Sometimes the rejection is met with rejection, and relationships are fractured. Other times, the “pushing away” is met with a lack of trust and increased skepticism, further driving a wedge in the relationship. – Choose to be the adult. – Understand your role in the life of a teenager. – Be steady, ready, and available. – Communicate constantly your availably and readiness when they choose to return. Teenagers need solid adults who stay in place for students to “kick off” of to explore what it means to be human in sometimes dangerous waters. Parents, teachers, coaches, pastors, mentors, and counselors play a crucial role to create safety and boundaries as students figure these things out. What do you think about this? 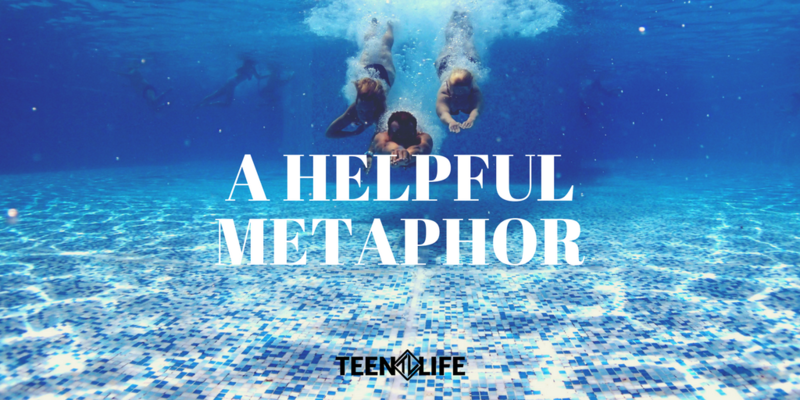 What other helpful metaphors work for you to describe working with teenagers?